The image above is a view from the west looking east over the twisting canals of the Hernando Beach area. 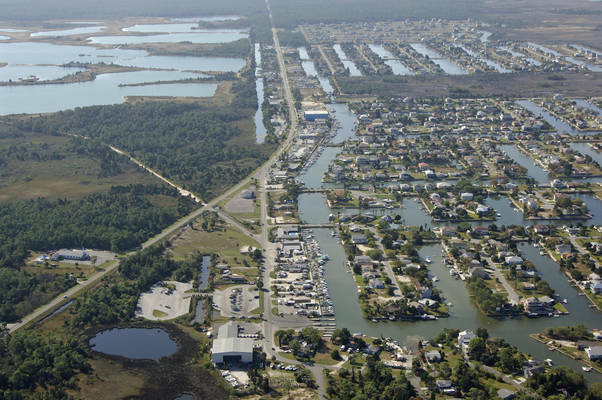 The dredged entry channel is visible as it enters the image above from the lower left (west) and proceeds east in toward Minnow Creek. 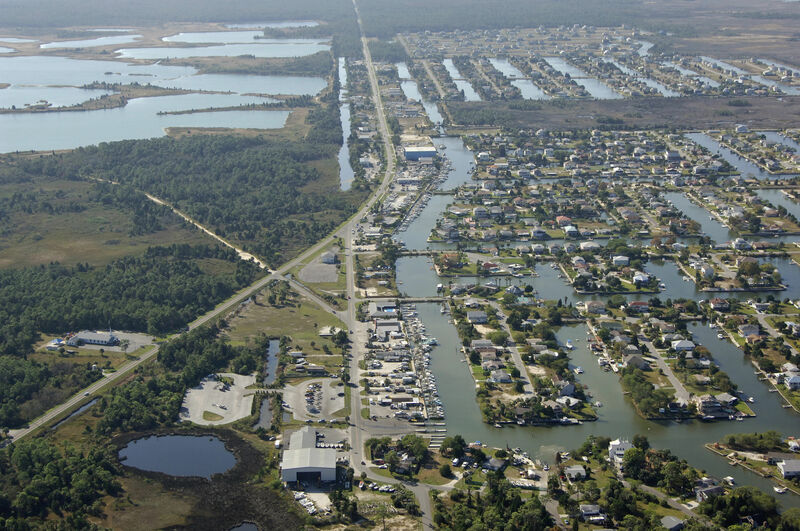 Hernando Beach is a decent stopover for cruisers traveling north and south along the Gulf Intracoastal Waterway that want to rest for the night in relative protection. Hernando Beach is a quiet and fairly remote town, but there are a couple of marinas inside Minnow Creek that can assist traveling mariners with a tie-up for the evening and a small marine repair shop is located ashore. 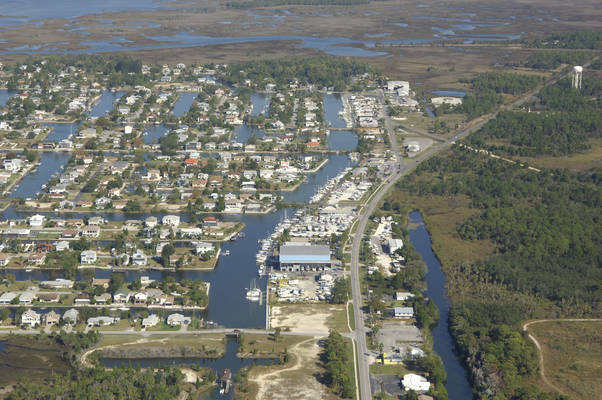 Technically, most of the marine shops and marinas are located within the ZIP code that encompasses Spring Hill, which is located right within Hernando Beach. 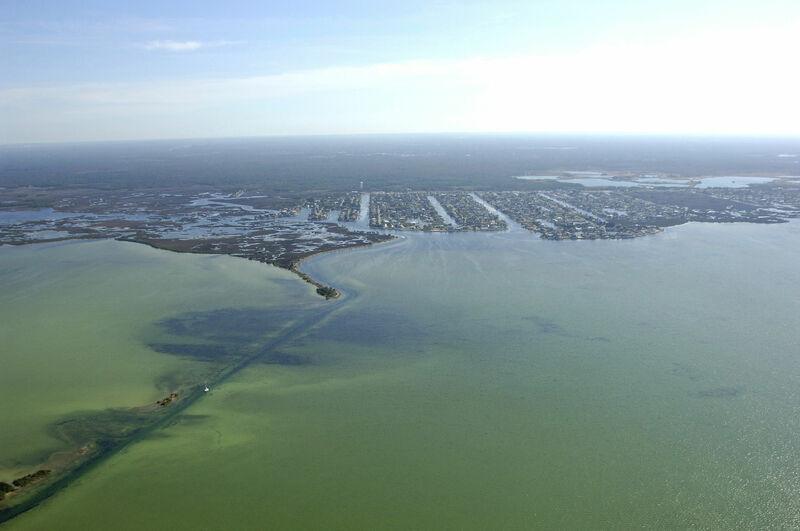 Hernando Beach is approached from the Gulf of Mexico via a passage from the northwest across the flats of the surrounding waters that eventually runs into Minnow Creek at Hernando Beach. Boats with drafts of more than four feet need not apply; the waters here are shallow. Once you have arrived at green daybeacon 13, set a course of about 162 degrees magnetic so pick up the dredged channel on the and of Cedar Key Point. From here, follow the length of small aids to navigation in, minding the depth sounder and proceeding slowly through the narrow channel. See our Helpful Links section below for a detailed calendar of events for the area. Hernando Beach is pretty remote, and the nearest major airport is Orlando International, which is located about 80 miles to theeast-northeast. Your only real way of getting to and from the airport will be to rent a vehicle at the airport or in Hernando itself if you need to pick up crew or disembark from your boat. No reviews yet! 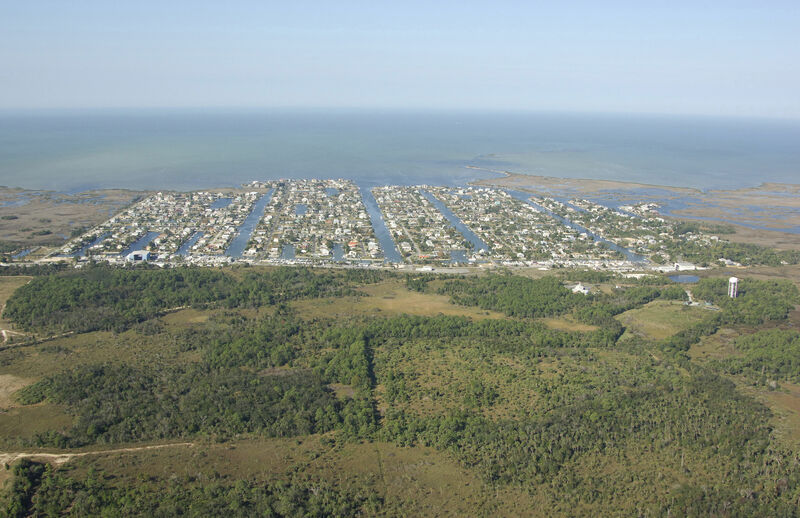 Be the first to write a review of Hernando Beach.